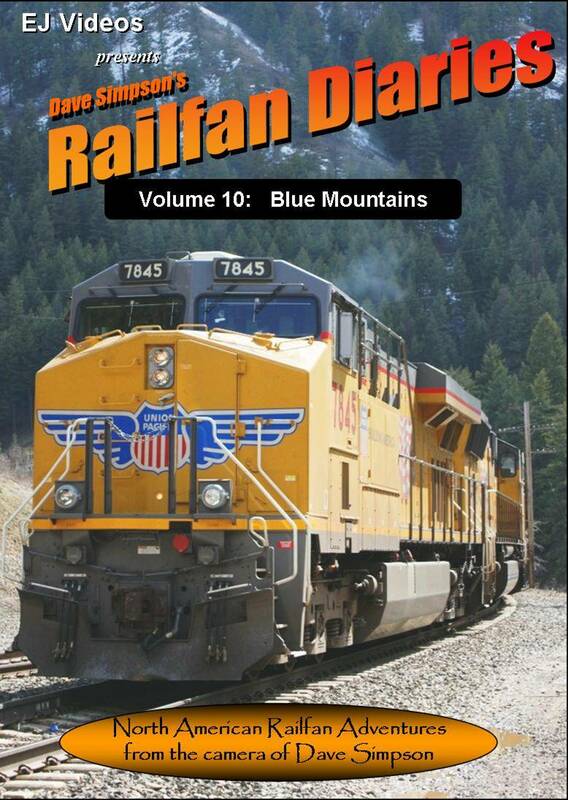 The Railfan Diaries series is a collection of programs filmed by Dave Simpson. 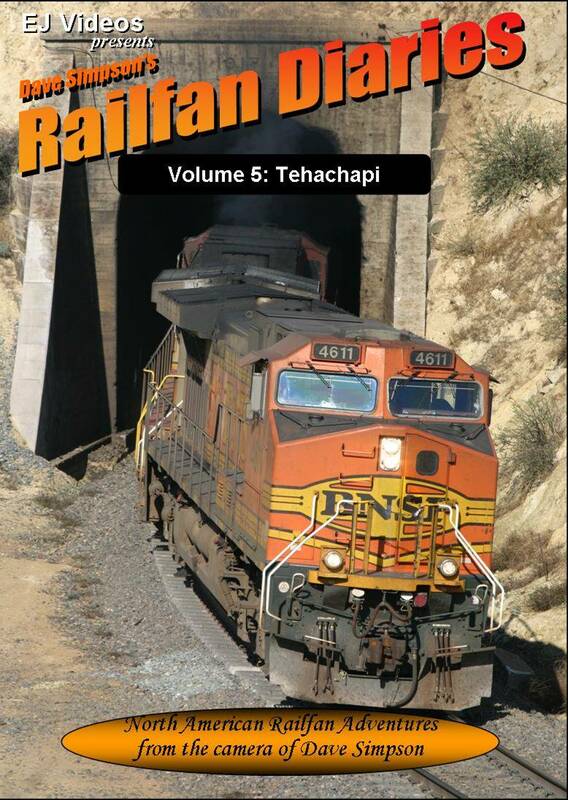 Dave amassed a large amount of footage during his travels to North America and this series covers all aspects of railroading during his visits in 1998, 2000 and 2002. Filmed in both Analog Hi8 and Digital MiniDV. Volume 1 in this series kicks off with Dave Simpson's pet love - Light Rail. Locations covered are San Diego, San Francisco, Oakland, Portland, Salt Lake City and Sacramento. Dave has accumulated a good amount of trackside (road side??) 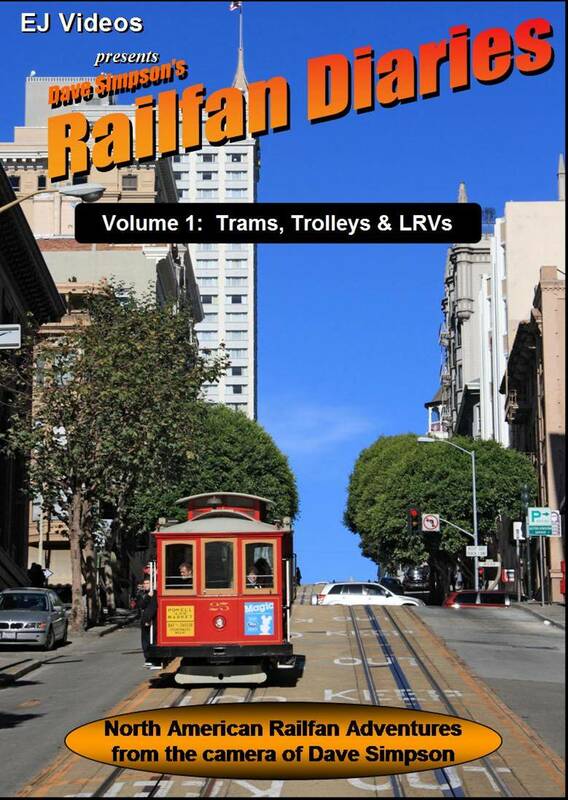 footage of trolleys, light rail and cable cars and backs this up with a good dosing of a ride on board along Market Street, San Francisco. A huge variety of people movers, both modern and restored historic units in their many and varied colour schemes. 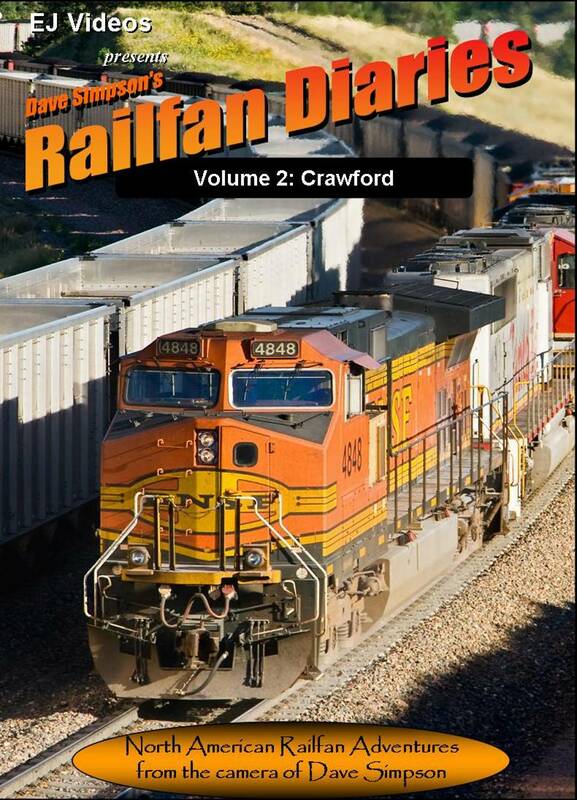 Volume 2 takes us to the Powder River Basin in Nebraska where we take in the intense railroading from the town of Crawford Nebraska, and it's associated renown geographical landmark, Crawford Hill. Not far from Crawford is the small but railroading noteworthy settlement of Belmont - resplendent with it's horseshoe curve and excellent view of all the action, including a busy helper service - this railroading hotspot is not to be missed. 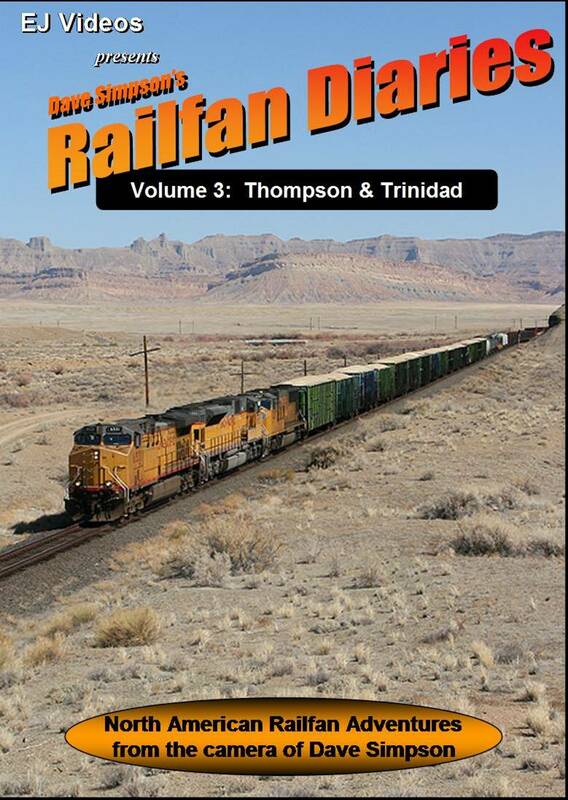 Volume 3 covers two distinctly separate but similar looking regions: Thompson Utah and Trinidad Washington. Both of these regions, although 1000 miles apart, have a unique flavour to their geographical surroundings, yet appear closely related. There's only one thing that makes North American trains look insignificant, and that's when they're traversing Badlands Scenery. Enjoy the view. 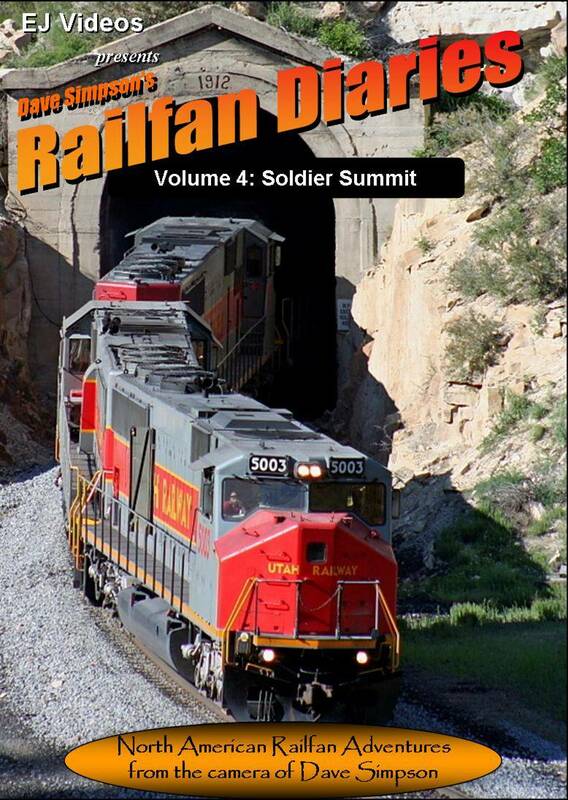 Volume 4 sees us checking out a small portion of the 47 mile Utah Railway - from Soldier Summit down to Wellington Utah. In between is the remarkable Castle Gate - a natural formation of shear cliffs forming a narrow canyon with just enough room for road and rail. The Price Canyon gets a brief look as well as the small town of Helper Utah. The scenery is as diverse as the trains, with the Utah Railway sharing it's tracks with Union Pacific and BNSF. Lots of mid train helpers using the Utah Railway's big Morrison Knudsen diesels. Walong California, home of the infamous Tehachapi Loop which consists of a spiral within a horseshoe, and two horseshoes connected in an 'S' shape. All parts of the loop have good access providing the railfan a variety of photographic opportunities. 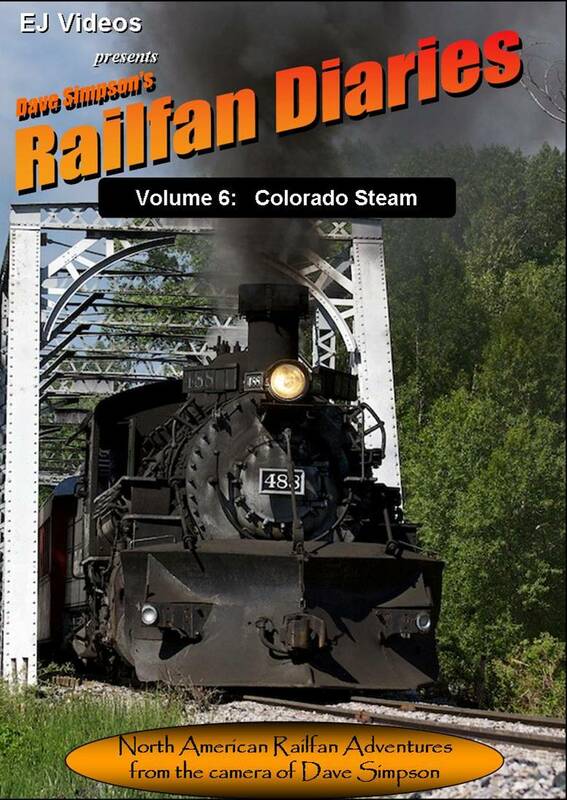 Volume 6 features two of Colorado's most well known scenic railroads: the Cumbres & Toltec and the San Luis & Rio Grande. 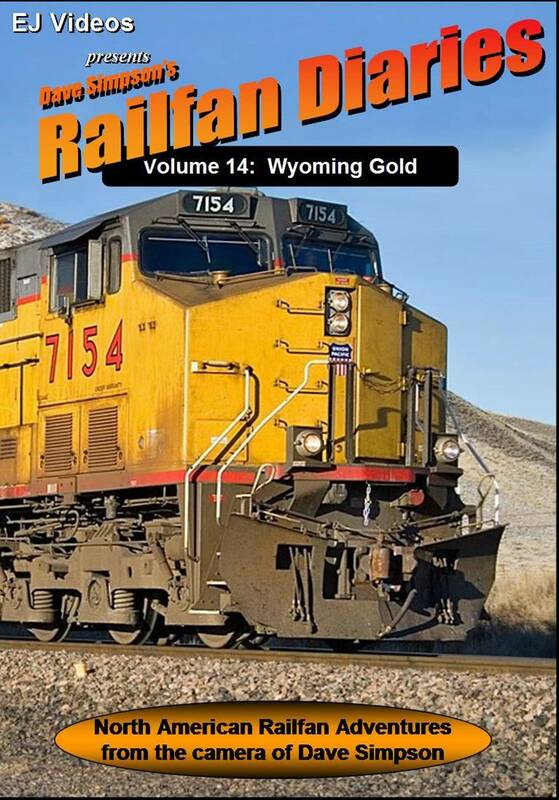 Lots of close up stuff taken from the depots as well as pacing and scenic shots around Colorado and New Mexico. 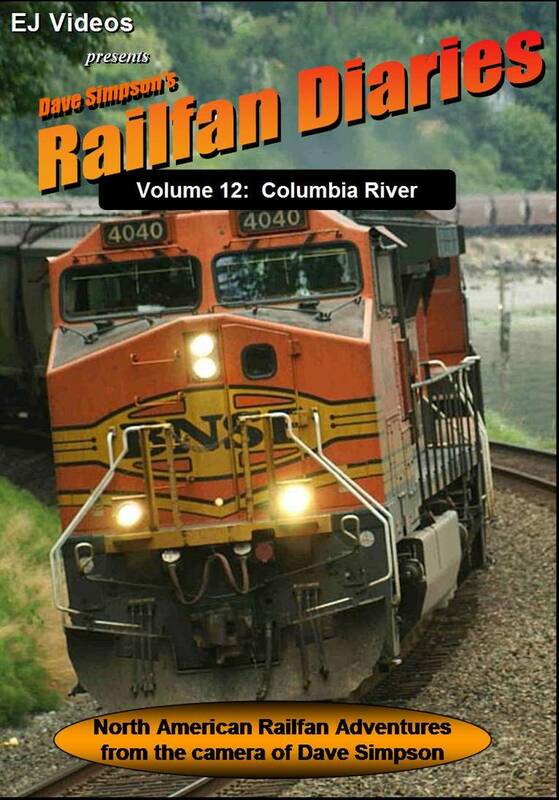 Volume 7 covers rail action from Sandpoint to Athol Idaho, including many scenes from the Big Cut, just north of Athol. 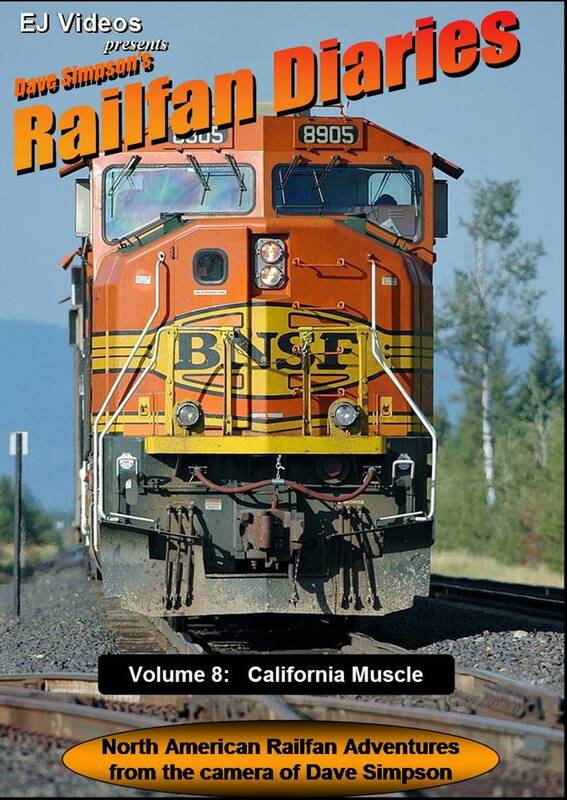 Volume 8 covers rail action from all over California including San Diego, Los Angeles, Oakland, Pinole, Sacramento and a good helping of footage from the Stockton diamonds. The Mojave desert and its surrounding hills provide a remarkable backdrop in this production where the focus is on the small settlement of Ludlow California and the immediate surrounding areas. North East Oregon is where you’ll find the Blue Mountains and some great places to film and photograph trains. Localities visited are La Grande, Kamela and Durkee. 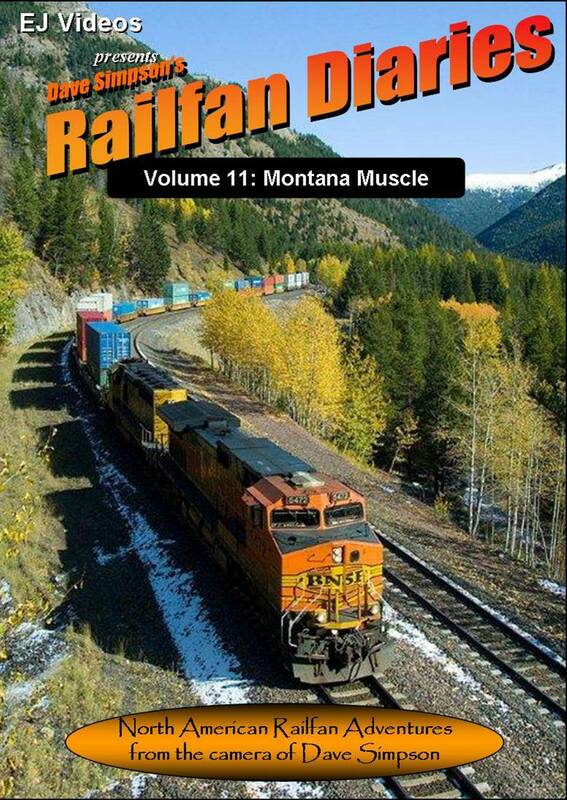 Montana Muscle takes us on a visit to Bozeman Pass, Mullan Pass and Marias Pass. Green scenery to the max. A good variety of rolling stock is represented, and of special note, the BNSF aircraft parts train makes an appearance with its load of Boeing 737 fuselages. 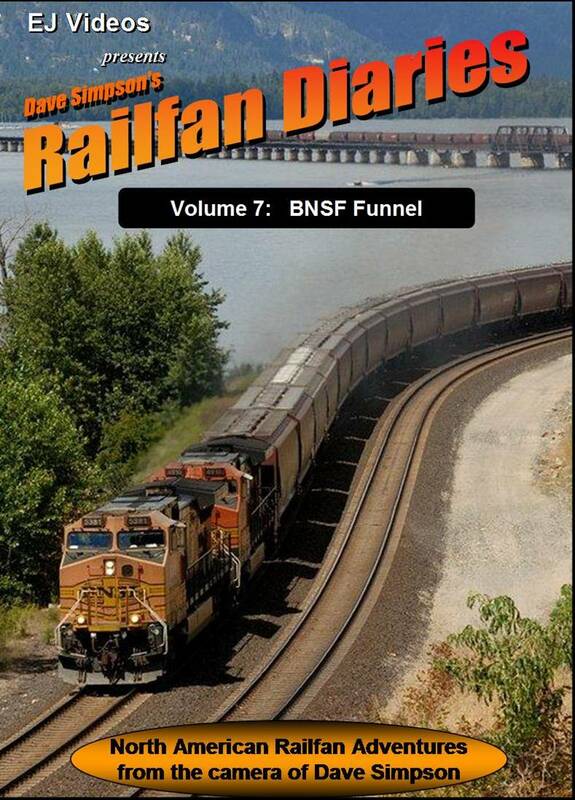 Volume 12 takes us on a journey from Vancouver to Wishram Washington and beyond to Ritzville and Hinkle Yard Oregon. One of the many highlights is witnessing Vancouver's swing bridge in action. Lake Chamberlain, an artificial lagoon (thanks to a bank being built by the railroad) gets a good showing as well as its near neighbour Rowland Lake. Unparalleled scenery and rail action. 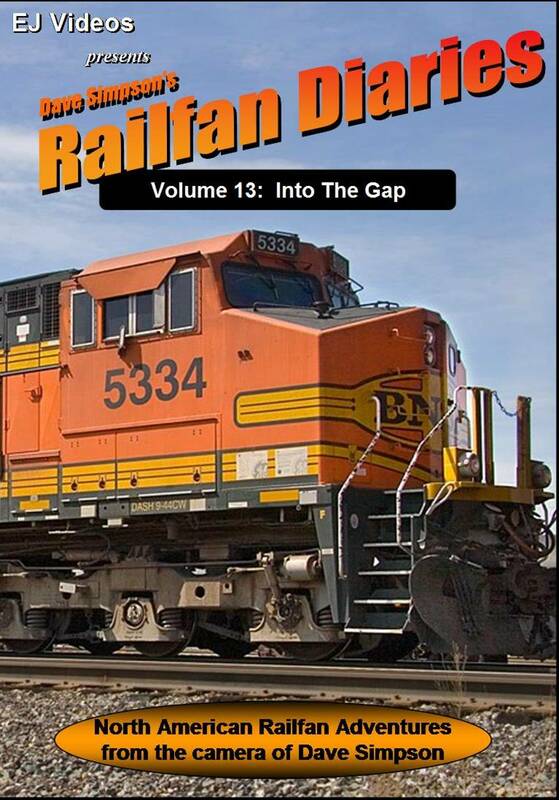 You may find me "standing on a corner in Winslow Arizona", but serious railfans will be found checking out The Gap - a large dip in the Arizona landscape with both Highway 40 and the BNSF main line crossing it. We follow up the action by checking out Kingman Canyon - another substantial "Gap" and the Painted Cliffs on the Arizona / New Mexico border - not forgetting Holbrook, Lupton, Winona and Topock AZ. At Williams AZ we'll get to see a special run of the Grand Canyon Railway. Wyoming has an abundance of natural resources buried beneath it's surface. One that springs to mind is coal. But the other is Trona. Trona, or trisodium hydrogendicarbonate dihydrate is a white/golden coloured product mined in southern Wyoming, just out of Green River. Processed on site, Trona is made into various products, one of them being Soda Ash, or Sodium Carbonate. Solvay Chemicals move this product by the train load in covered hoppers. 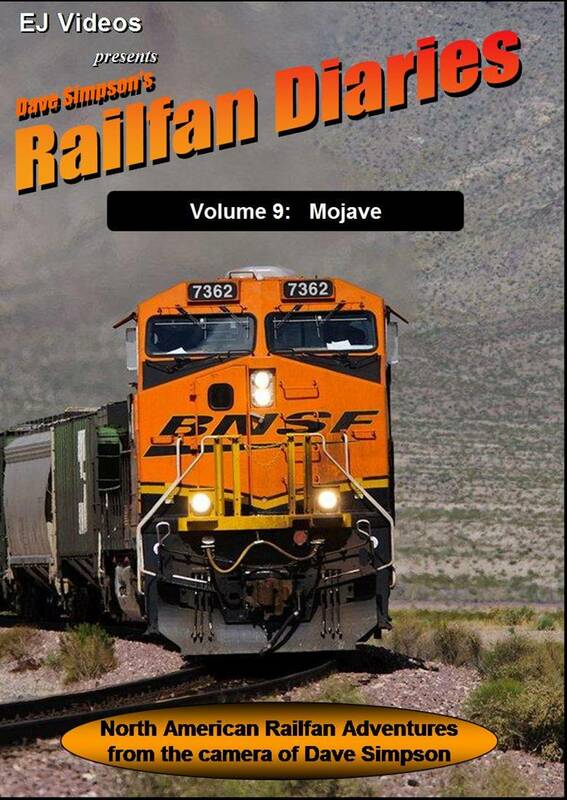 This program kicks off at Green River Wyoming, then its northbound for plenty of coal action.